Remember back in the day when kids’ t-shirts had inappropriate messages like, “I’m too pretty to do homework , so I have my brother do it for me.”and “Sorry ladies, I only date models.”? Shirts with all kinds of questionable messages were the norm. Thankfully, after a lot of parental backlash, major retailers have started to really rethink their apparel’s messaging. Girls are more than adorable princesses and boys are more than strong chick magnets. I’m genuinely excited by some of the back-to-school tees I’ve seen on shelves this summer, so I’ve rounded up 20 empowering t-shirts for boys and girls that bust gender stereotypes. Want to buy your kids their own back-to-school tees with strong and positive messages? 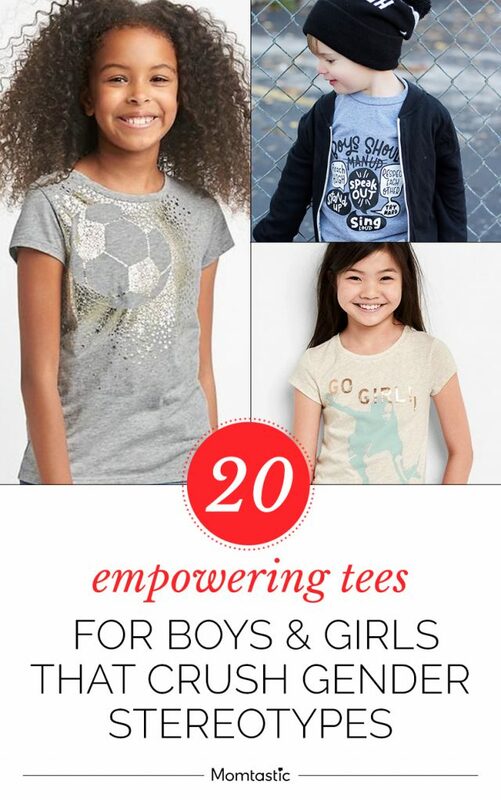 Check out this round-up of empowering tees for boys and girls.